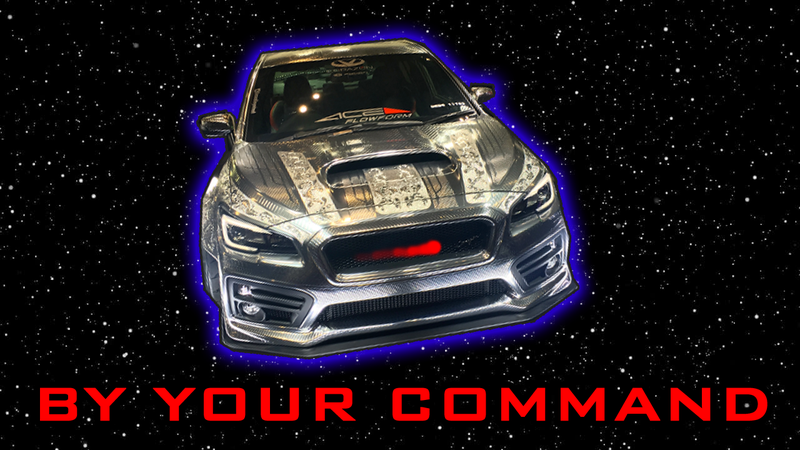 Corazon isn’t a well-known player in the Japanese aftermarket world, but the Subaru parts company brought the glitz and glimmer to Tokyo Auto Salon. Not content to just add aero features and ground effects to their show pieces, they gave them the appearance of etched stainless steel. The effect looks like it just flew off a Cylon BaseStar from Battlestar Galactica. While it’s true that there was no blinking red light (oh, do I wish there had been), and the etching work says samurai more than it says Cylon, the resemblance to those Chrome-Dome creations of the 12 Colonies cannot be denied. This is especially true of the front, since Cylon vehicles themselves are Cylons, and the front of Cylon vehicles are clearly Cylon heads. This image was further planted in my brain because of the clear fighter/sting ship feel of the chosen ground effects and rear spoiler. The blue-tipped double exhaust “ports” push this even further. I imagine not so much the noxious fume output from an internal combustion engine as much as I expect rich blue flame of rocket fuel reactions hurtling this thing on its way to hunt down some humans. Did You Know There Are Other Things Called &apos;Viper&apos;?